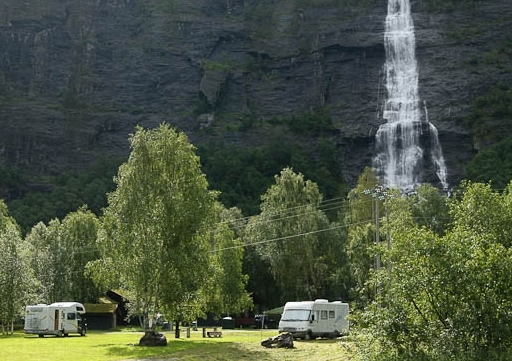 Vassbakken Kro & Camping is located midway between the villages of Skjolden and Fortun. Skjolden sits at the end of the Lustrafjord – a branch of the Sognefjord. Fortun is the gateway to the Sognefjellet massif and Jotunheimen national park. Here, halfway between fjord and mountain, we have 14 pitches with electric hook-ups for campervans/caravans. The amenities block contains coin-operated showers, toilets and washing facilities, washing machine, tumble dryer as well as a kitchen with oven/hob and space to eat. There is also a basic play area on site. We also have a traditional Norwegian restaurant with a cosy outdoor terrace, TV lounge and salon. Free wi-fi is available in the restaurant and reception area.